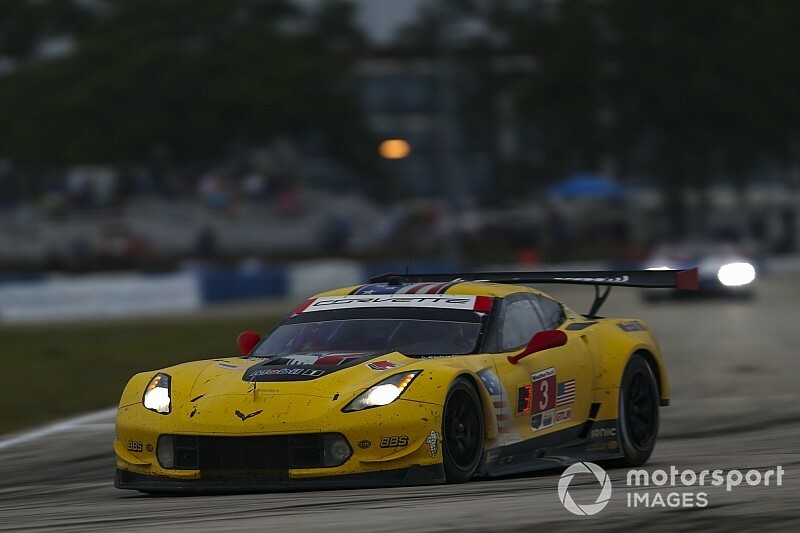 An off-strategy effort by Corvette Racing in the final two hours to get its #3 car to the top step of the GT Le Mans podium in the Sebring 12 Hours was ruined by an extremely late caution period. 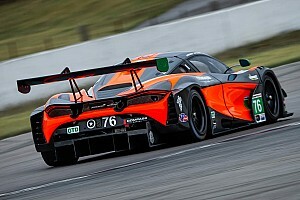 The car of reigning GT Le Mans champions Antonio Garcia and Jan Magnussen, who share the #3 with Mike Rockenfeller for endurance races, ultimately clinched third place in class. 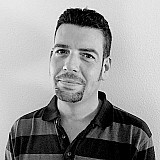 However, the trio were on an alternate strategy which meant Garcia stopped twice in the closing 90 minutes. 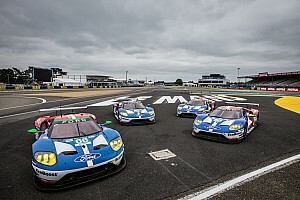 His last stop came on Lap 311 – 12 laps after the #911 Porsche 911 and 11 laps after the #67 Ford GT, (the two cars dueling for the class lead), and 13 laps after the #66 Ford running third. 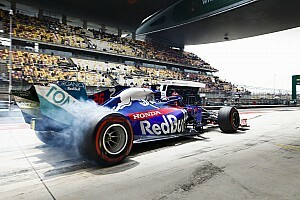 Into the closing stages, with much fresher tires and no worries over fuel, Garcia was gaining on Porsche driver Nick Tandy and Ford drivers Ryan Briscoe and Joey Hand ahead but with 16 minutes to go, the full-course caution fell to allow marshals to move the broken Turner Motorsports BMW M6 from what was adjudged to be a dangerous place. 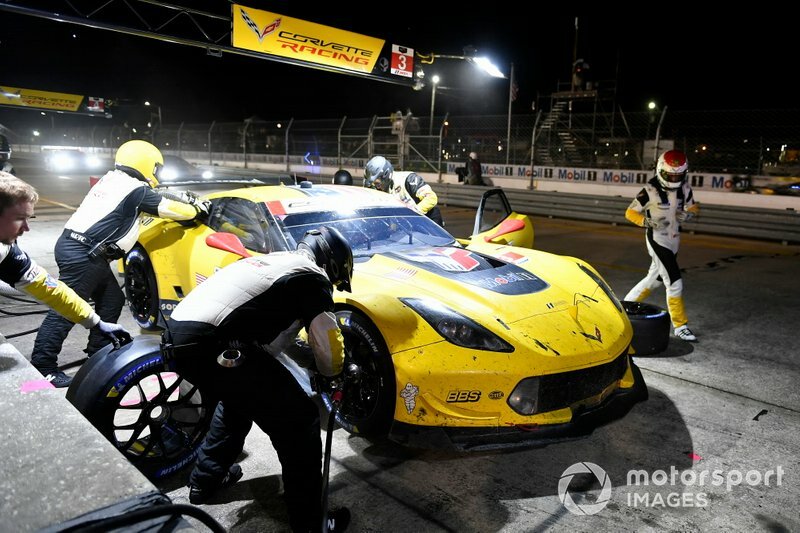 Although the caution period inevitably compressed the gap from first to fourth place, its nine-minute duration erased any fuel worries for the cars ahead of the Corvette, and they were able to go flat out on the restart. Despite setting the Corvette’s fastest lap of the race on the final lap, only a spin by Briscoe allowed Garcia to salvage third, 2.2sec behind Hand and 4.2 adrift of Tandy. Garcia, who along with Magnussen and Rockenfeller had also competed in a Corvette in Friday’s eight-hour WEC round at Sebring, said afterward: “It was difficult to do both races in the weekend, for sure. I wasn’t 100 percent today but was 99 percent. “We gave it all, and you have to wonder what had happened if we had just that little extra. But I’m happy to have been able to compete in this event at Sebring – both the WEC and IMSA races. It was a great result for Team Chevy. “Friday we didn’t achieve a good result, but the good thing about Corvette Racing is that we always want to win. We tried to gamble [in the Sebring 12 Horus] and that’s what we do – go for the win. 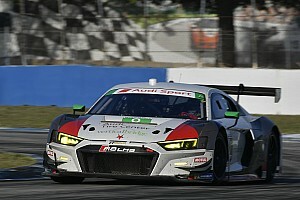 “When I got out of the car, there were 80 minutes to go and we were third,” said Rockenfeller. 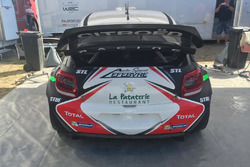 “We couldn’t make it on fuel without a last stop, so we rolled the dice and tried to attack. It almost worked out. We took our opportunities and tried to go for victory. The #4 Corvette of full-timers Oliver Gavin and Tommy Milner, accompanied by regular endurance-race teammate Marcel Fassler, lost 11 laps early on to alternator issues and a broken halfshaft. However, in the absence of the Risi Competizione Ferrari 488, last in class still produced an eighth-place finish.